Pre-Season Tune-Ups reduce the number of emergency calls by revealing potential problems with your heating or air conditioning system that can be corrected inexpensively before causing major repair bills. 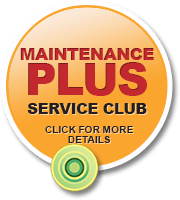 Regular maintenance keeps your system working as efficiently as possible, keeping you comfortable throughout the year while keeping your utility bills in line. Costs are determined by the type of equipment you have in your home or business. A comprehensive air conditioning maintenance program should always include pre-season tune- ups. This is a vital maintenance task that should not be neglected by every property owner. According to the Energy Department, you'll get up to 15% reduction in energy consumption if you will perform simple maintenance tasks such as replacing dirty or clogged filters, cleaning condenser and evaporator coils, and sealing ducts. 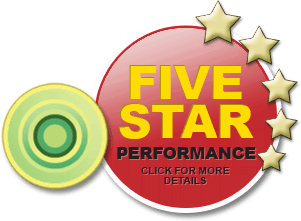 There are other tasks that must be done to improve the efficiency of your air conditioner but they must be handled by professionals like us. At Simmons Plumbing, Heating & Air Conditioning, you can hire us to perform these vital tasks to ensure the efficient functioning of your air conditioning units. When performed at the right time, an air conditioner tune-up will result in efficient A/C cooling, fewer repairs, longer service life of the A/C units, and better indoor air quality. One type of HVAC system that must be checked regularly is the boiler. Since this is a complex type of heating system, tune-ups and other maintenance works should be given to professional HVAC maintenance contractors. If you're from New Hampshire or nearby area, you must call us for your boiler tune up and other maintenance concerns. We are equipped with the right tools and knowledgeable of various kinds of boilers for residential and commercial properties. We can maintain gas-fired, oil-fired, or wood burning boilers and only recommend the most appropriate solutions to identified boiler problems. Our technicians will check your boiler's temperature and pressure readings, replace filters, check carbon monoxide detector, check the expansion tank, clean burner, draft hood, coil, and chimney, lubricate circulating pump, and other vital components of the heating system. Avail our boiler tune up service now to ensure the optimum efficiency of your heating units. Do you want to get up to 30% energy savings on your heating cost? You can achieve this by letting us perform annual furnace tune-up. Doing preventative maintenance on your furnace will dramatically reduce your energy cost, lower your repair expenses, and extend the service life of your furnace. You will also avoid emergency calls during winter since potential issues are addressed even before they get worst. And here at Simmons Plumbing, Heating & Air Conditioning, you will be assured of a comfy and worry-free winter season with our comprehensive tune up service. We will make sure that your furnace is operating efficiently by checking the entire system for leaks, cleaning vital components, replacing defective parts, and performing other necessary maintenance works. Moreover, you will not lose your heating system's warranty if it is properly maintained. One of the most effective and least expensive ways to keep your heat pump in tiptop condition is to perform regular tune up. But don't do the task in a DIY manner. Instead, hire expert HVAC technicians to work on your heating system. Our heat pump tune up service is one of the most comprehensive in the industry. We check your entire system to assess its current condition and identify potential issues. This approach helps our technicians perform the necessary adjustments, repairs, and other maintenance tasks. Some of the components that we check include the thermostat, electrical connections, condenser drain and coil, fan motor, evaporator coil, blower motor, air filter, belt and pulleys, and safety devices. If you want a 100 percent functioning heat pump, call us now. Always rely on the services of professionals when doing maintenance works on your water heater. Experienced technicians like the ones we have at Simmons Plumbing, Heating & Air Conditioning can perform common to complex maintenance works on all kinds of water heater units. We have the right tools and equipment, so every cleaning or repair job is handled accurately and efficiently. We will also make sure that vital components are working properly and defective parts are replaced outright. We use appropriate tools to remove tank sediments, worn-out anode rod, adjust temperature settings, and diagnose potential issues on your water heater. We also check the temperature and pressure relief valve to determine if it already requires replacement. 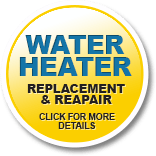 If your heater is acting up lately, please call us and we'll perform a thorough water heater tune up. Installing water filtration devices or systems in homes and commercial properties is a common practice. But how will you know if you are using the right kind of filtration system? Can it remove all the impurities and contaminants in your drinking water? Let the experts from Simmons Plumbing, Heating & Air Conditioning ease your worries. We offer professional water filtration test for those who want to have safe and clean water in their homes or offices. The test will help us determine the most appropriate water filtration system for your home. Don't worry about the cost since we're offering our in-home water test for free. Call us for more details. Simmons Plumbing, Heating & Air Conditioning offers well pump inspection service for residential and commercial clients across New Hampshire, as well as clients from Massachusetts and Maine. This job is handled by certified technicians with extensive experience in maintaining various types of well pumps. We do preventative maintenance to ensure the efficient functioning of your pumps and perform necessary repairs on defective or malfunctioning well pumps and components. We can also tune up any make or model. Dial our hotline today to avail this particular service.